A&D Weighing were proud to support Gould Instruments (one of our long term Dealers based in Townsville, QLD) to develop a solution to help ensure the weighing accuracy of shipping boxes at RAAF Townsville. Supply a weighing solution that can weigh bulky shipping boxes up to 3T. The scale needs to have a low profile footprint of 2.5m x 1.5m. The scale needs to be robust and suited to the outdoors. 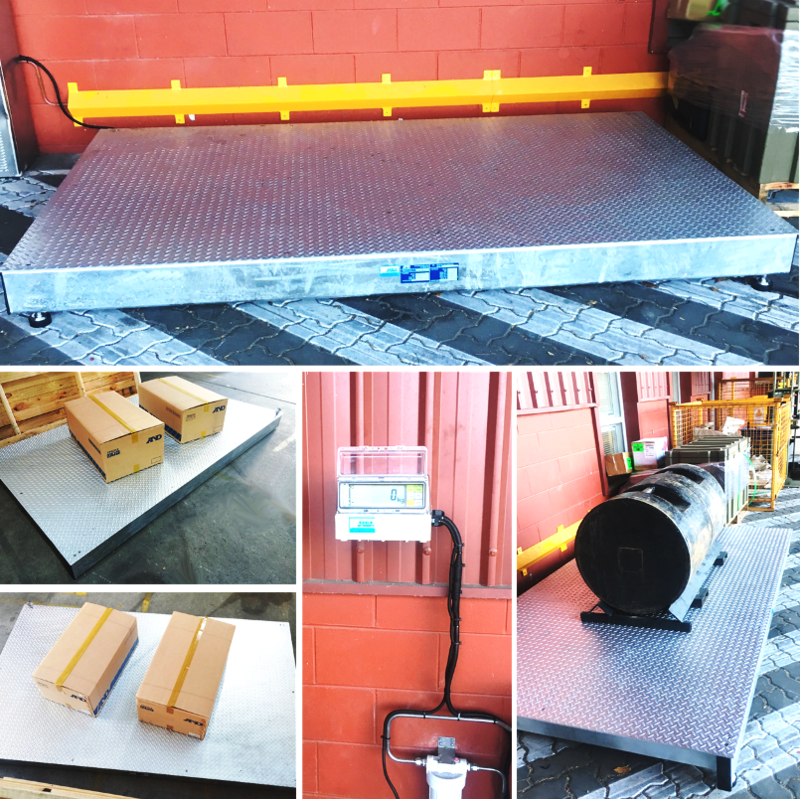 Our A&D engineering team went to work and designed a low profile, three tonnes capacity pallet scale manufactured from galvanised steel to withstand demanding outdoor conditions. This scale is then simply connected to an elevated waterproof indicator where weighing measurements can easily be seen by the operator. This is another example of A&D Australasia continuing to provide high-quality weighing solutions to industries in Australia and New Zealand.